Twice this week I have signed up for yoga classes expecting to sweat profusely. Twice this week I didn’t get what I wanted. On Sunday, I registered for a Vinyasa 1-2 class at one of my neighborhood studios. I wanted to build strength, especially via core work. I figured that a class described as 1-2 would include some inversions (or even just the suggestion to try one). I did not sweat even a drop. Instead, the class was gentle. We didn’t even do downward-facing dog. We didn’t do any sun salutations. We barely left the floor. Halfway through class I found myself annoyed. In yoga? Yes, I was annoyed in yoga class. I felt like I didn’t get what I was paying for. I wanted a workout. I could be angry or I could take what I could from the class. In that moment, I decided to make the most out of it. You can still get something out of this, I thought. And so I breathed and stretched and participated wholeheartedly. It was an hour and a half class, and not once did I feel challenged physically, but it was a mental battle. At the end of class, we moved into savasana. The instructor told us she was going to chant. When she opened her mouth, it was as if the gates of heaven opened. She had one of the most lovely voices I have ever heard. It was mesmerizing and relaxing and beautiful. It was then I realized that maybe I didn’t get what I wanted, but I certainly got what I needed out of that yoga practice. On another night, I attended a class that focused on strength and flexibility. Again, I expected a workout. But as soon as we started to flow through chaturanga, I realized I was still extremely sore in my arms from a previous class that week. I also realized quickly that the instructor was a recent YTT grad. She seemed a little nervous, and the class was more of a basics class than usual. The class, however, offered me something I didn’t know I needed. During centering, the instructor walked to each of the two students and gave us a shoulder massage. She had a lovely touch that was just a perfect balance of gentle and firm. Because the class way so small, the instructor walked around a lot to adjust and massage. And in savasana, she again rubbed our shoulders and necks. It felt heavenly. It was the perfect way to end an evening after work. These two yoga classes reminded me of something many of my instructors have said. 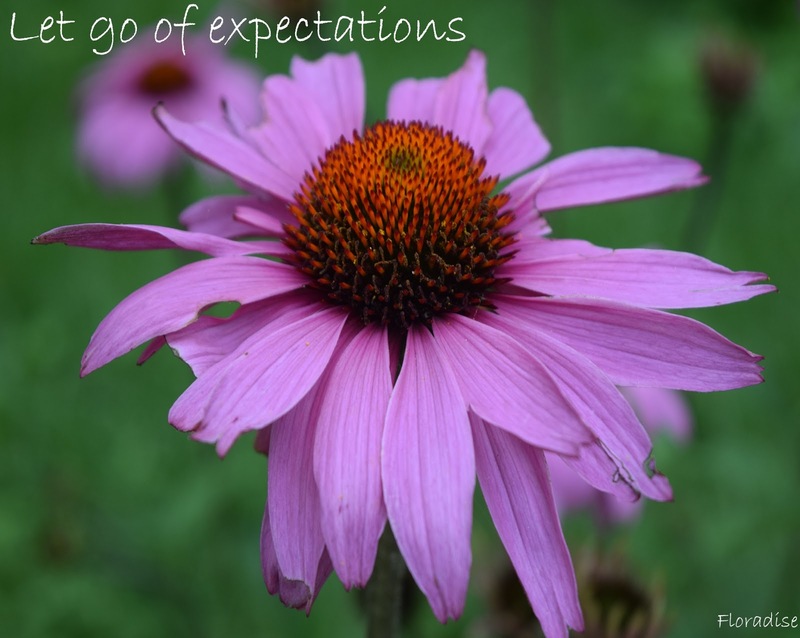 They would tell the students to let go of expectations. Usually I would take this as, you might not get as far as you have in the past, and that’s OK. But that also applies to the instructor. You might not get what you usually get from the teacher, and that’s OK. You will always benefit from going to a class. Let go of what you think the instructor will do and just let yourself be in the moment. Let go of wanting to do a certain pose or go deeper into a posture. That same lesson can be applied off the mat. Let go of how you think something will go and just experience and appreciate it the way it is. So, this weekend, and always, leave your expectations at home and go out and enjoy the moment.